If you are planning to stay in Sherborne you’ll be spoilt for choice. Whether you opt for the the elegant Georgian Eastbury Hotel in the town centre with 22 characterful bedrooms and an award-winning Seasons Restaurant, or one of the town’s many smaller guest houses, B&B’s, inns with rooms and holiday rentals including Picton House luxury B&B or Sherborne Cottages & Apartments, you’ll be assured of a warm welcome. Just outside the town centre, Sherborne’s surrounding villages offer more holiday cottages, farmhouse B&B’s, pubs with rooms and camp sites including The Grange at Oborne luxury country house hotel, Alweston’s Munden House, The Hunter’s Moon at Middlemarsh and The White Post at Rimpton. Contact Sherborne Tourist Information Centre for details and availability of accommodation or visit www.sherbornetown.com and Visit Dorset for local information on accommodation, shops, businesses and travel. There are many independent providers of holiday cottages too, including Original Cottages and Dorset Coastal Cottages. Wherever you explore whether, it’s Dorset, Somerset, Wiltshire, Hampshire or the South West counties beyond, you’ll find so much on offer. It’s easy to while away the day in Sherborne, with its many tourist attractions, shops, restaurants, parks and places to discover including Sherborne Abbey, Sherborne Museum, Sherborne Castle and the English Heritage Old Castle. If you fancy going further afield, the neighbouring market towns of Shaftesbury, Dorchester, Wimborne and Beaminster are all within easy reach by car or you could pop on the train from Sherborne to Salisbury or Exeter if you hanker after the bigger town or city experience. Don’t miss the opportunity for a stroll around the town with Blue Badge Guide, Cindy Chant. Read her wonderful account of Castleton Church, one of the Festival’s many concert venues. 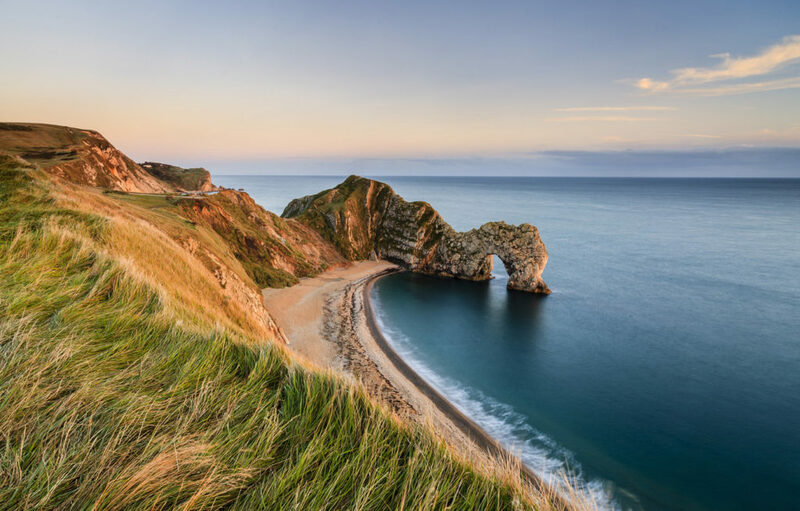 Dorset’s coast is within an hour’s drive and a walk along the World Heritage Site Jurassic Coast is a lovely way to spend some time before coming back for a relaxing night’s stay in Sherborne. On the way you’ll pass Minterne House just outside Sherborne, home of the Churchill and Digby families since 1620, and a unique place to explore. Further along you’ll find the National Trust’s famous Cerne Abbas Giant. With its 95 miles of coastline and 185 million years of history, there is nowhere else in the world quite like Dorset’s Jurassic Coast. Much of Dorset’s countryside and coastline has been designated an Area of Outstanding Natural Beauty… and all within a short distance of Sherborne for a day out. 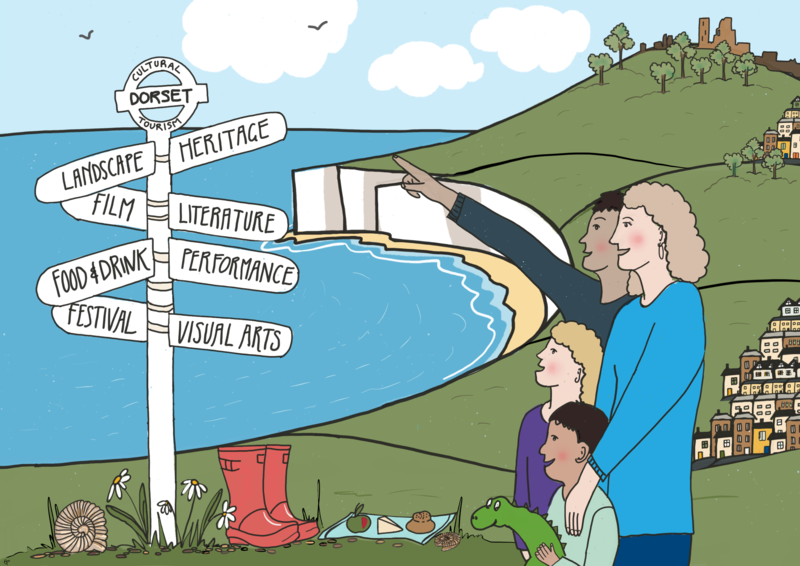 Visit the AONB’s website for all you need to know about walks, wildlife and the geography of Dorset and as you are out and about look out for its iconic fingerposts pointing the way! 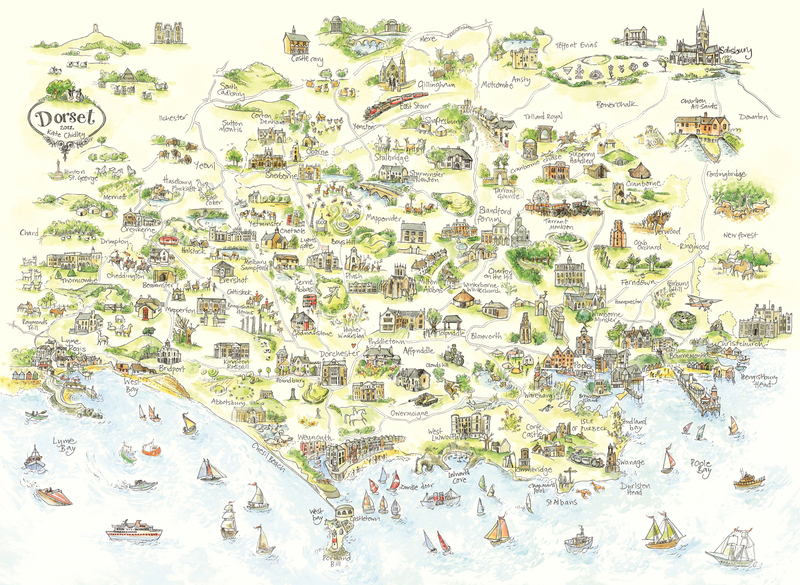 Explore with the Dorset AONB Map or try the handy Dorset Explorer tool. You’ll enjoy the many National Trust gardens, houses and beauty spots in Dorset including Cerne Abbas, Corfe Castle, Burton Bradstock and Hardy’s Cottage (not to forget Montacute House which is just over the border in Somerset, but well worth the trip, as is Stourhead in Wiltshire too).